My first foray into the UX Design process was fraught with a lot of internal questioning and self-doubt. 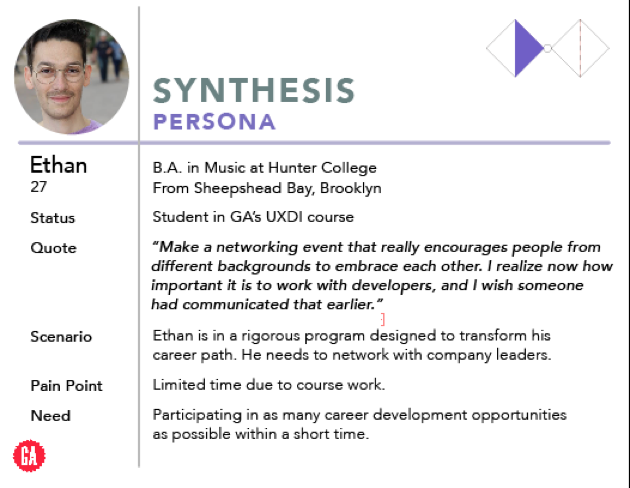 I enrolled in General Assembly’s UXDI course with the intent of transitioning to a career that was related to design, related to technology, and that had, if not abundant, at least a reasonable amount of job opportunities. I wanted to design, not teach, anymore. I have in recent years professed my love for design, often expressing to my students my passion for it. I would say that it didn’t matter what application it was — graphic design, interiors, product, fashion, you name it, I was down with it. 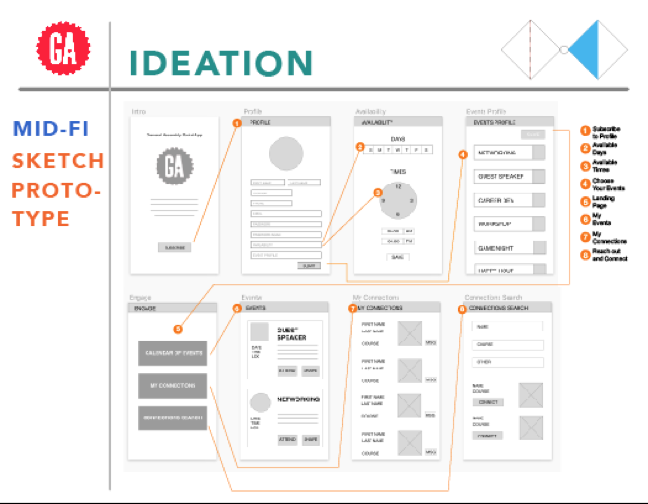 When I discovered UX Design, I was intrigued and then smitten. I mean, really, who wouldn’t love the Double Diamond? It’s so cute. It all made so much sense, and the driving factor of Utility + Usefulness was that rare song you were crazy about the very first time you heard it. But this was a superficial crush I soon realized when we started the first exercise, which introduced — no — catapulted us, into the research…RESEARCH…phase, as in that all-encompassing, behemoth, “the only way out is through” thing, that is the living, quivering, lifeblood of UX Design. And to my shock and surprise, I hated it. How could this be? I knew that research was the foundation of UX, I did the pre-work for the course, and not only that, I had liked doing research for other design projects in the past. I wasn’t gathering visual evidence, I was gathering data in the form of interviews using the Guerrilla technique. Let me tell you, requiring an introvert to bother a stranger when he/she is clearly pre-occupied, is enough to consider another field entirely (Botany? 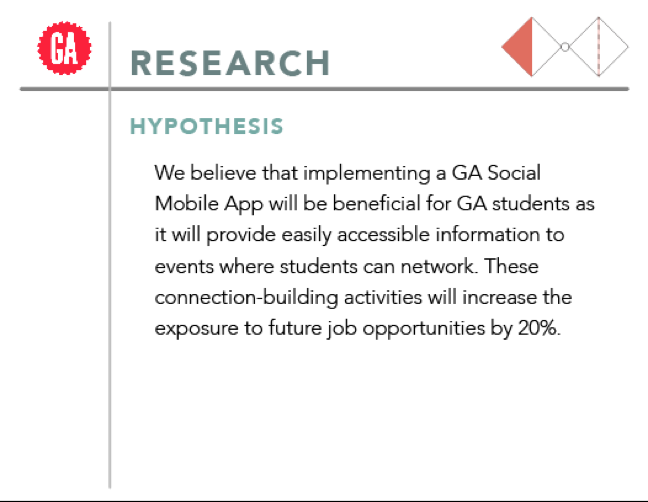 ), and the user was the GA student, who is never not pre-occupied. I managed to acquire interviewees, over-apologizing and probably inciting pity. Once the conversations started, the interviews actually went well, and I was able to gather enough evidence from which to derive insights to support or negate my hypothesis, and further, to craft a strong problem statement. However, the very linear process of interviewing and all the rules on types of questions felt constraining. As a designer, I thrive on parameters, but this felt akin to wearing high-heels two sizes too small with too many tight straps. Add to that my fear of technology (I always feel like I’m doing something wrong, which makes me feel stupid), so doing something new like recording the interview with the Otter app, spikes the learning curve and provokes anxiety. I operate in the realm of the tactile, but charcoal figure drawings do not lead to full-time jobs, and you recall, I don’t want to teach anymore. I like places like Muji and the Container Store — an organizer’s heaven — so it makes sense that taxonomy feels more organic to me than collecting research data. 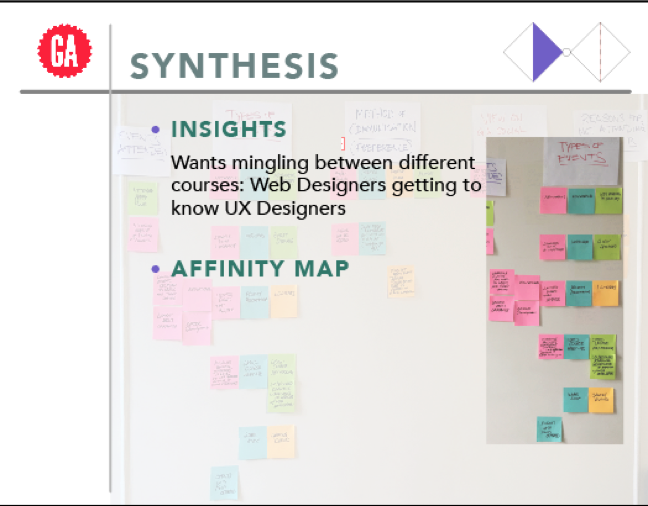 During this Synthesis phase, I did not mind culling the insights and categorizing them and discovered a minor affinity for Affinity Mapping — a helpful, flexible, visual tool. The first creative part of the process thus far manifested in the formation of the persona, an imaginative exercise, albeit based on data. It was creative because I was able to synthesize the information and transform the data into a living entity — something real that I could care about. 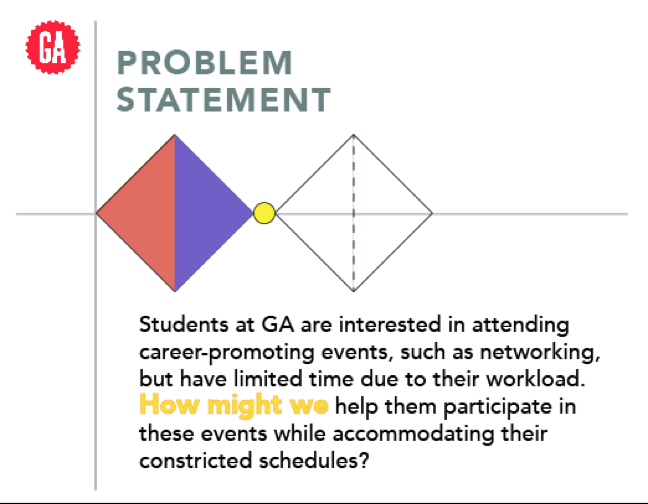 The nexus of the Double Diamond is the Problem Statement, which, once again, has a very particular syntax in the form of a “How might we?” question. I am seeing now that UX Design is undergirded by prescribed methods and rigid structure, and question whether that was what was making me feel uneasy. The most entertaining activity of the class up to that point occurred during the introduction to the Ideation phase of the UX Design process. We would be making Lo-Fi paper sketches, but before this, we participated in an activity where our instructor called out directions and we drew our responses with dry erase markers on white tables. The sense of freedom was welcomed. It felt comforting to be doing what I had years of experience doing: thumbnail sketching of ideas, which were then taken to the next step of slightly more developed paper wireframes. It was interesting to learn that one could test out their idea using such a crude method. Observing how the users were able to mimic the interactions as if with an actual app was enlightening. I could easily see what worked and what didn’t. 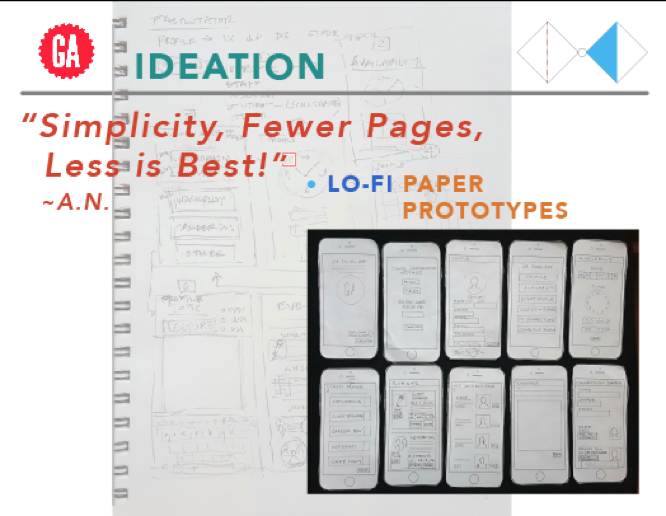 Paper prototypes were definitely effective. The next part was possibly the most anxiety-producing for me (up until that point, anyway) so much so that I had to leave the class momentarily. As I had previously mentioned, learning new technology, software programs, etc. often initiate feelings of inadequacies within myself, and I prefer to bypass those feelings with as wide an egress as possible. However, our in-class introduction to the Sketch app provided me with no place to run. It turned out to be not as difficult as in that moment, when my computer was not doing what the instructor’s was. Compounding the stress was the knowledge that I would be learning InVision that afternoon, and the project, which included a clickable prototype, was due the following day. I knew I would not be getting much sleep that night — a discouraging thought. 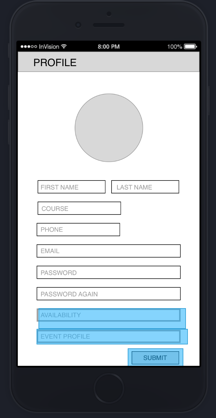 I powered through and learned the very basic functions of Sketch and InVision and surprised myself by producing a clickable prototype. I realized, though, that my limited skill level prevented me from mimicking features such as a drop-down menu. This would have to come later. The following day’s studio time afforded me the chance to perform Usability Tests on my InVision prototype. 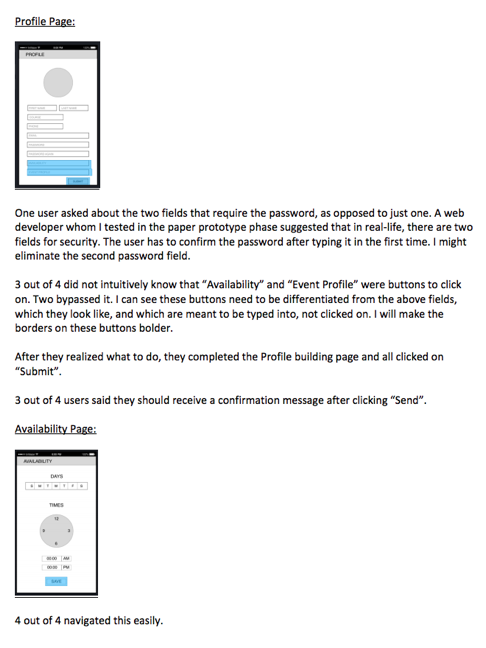 I had prepared a Discussion Guide and Usability Testing script, which was a helpful reference as I made inquiries while I observed my peers’ interactions with the prototype. From the users’ answers to my questions, notes on their interaction with the prototype and, other observations, I was able to formulate a Usability Testing Report that analyzed and summarized key information, which was necessary for the next steps in the process. I would adapt valuable feedback about such points as eliminating or adding certain steps to ensure intuitive navigation. Our first presentation was due the next morning and although the visual design of it was secondary, I still wanted to make a clean, visually appealing design. This is where I come from and this is where my passion lies. What I omitted is the telling part. As I watched and listened to my classmates’ presentations — I had the misfortune of presenting in the afternoon — a heavy feeling of dread spread throughout my body. Every student had shown their data, much more than I expected, throughout their deck. I, on the other hand, did not. I thought that what I would show would be headers and sub-headers that would be talking points and I would elaborate on them when I got to the slide. This glaring omission said something loud and clear: either I subconsciously did not think this research evidence was crucial to show my audience (hypothetically, GA stakeholders), or I took it for granted that these numbers could simply be rattled off when I got there, or that spare visual design was more important than populating the composition with data, or maybe I just didn’t comprehend the assignment. (I didn’t flog myself for being too slow in delivering my presentation, I could improve on that.) It all felt bad, but the worst realization was that I just didn’t get UX DESIGN. When I got past feeling shame, and I could process what I was seeing from my peers’ presentations, an epiphany occurred. I saw the value of the research. I saw how the resulting data from competent research would make a much better designed product. I saw that the many years of my design experience has been spent “Designing Things Right” before even thinking what the right thing should be. The pain points I was experiencing from day one of the UXDI course originated from my attachment to this way of thinking and making. I was now, by virtue of committing to this course, expected to do something really uncomfortable, that felt unintuitive and back-to-front. It was “Designing the Right Thing” first, and this required me getting out of the way, not designing for myself, and facilitating the User Experience Design process. Once I came to this realization, I felt lighter, even feeling a touch of joy, which had completely eluded me the past couple of weeks. I was curious to see what would happen if I trust this process. What made me feel really excited was that gut-checkable understanding that learning and applying what I have started to discover in the UX Design Immersive course will undoubtedly make me a highly effective designer. And this is what I want to be. The superficial crush morphed into something like seeing a lover for the first time in a new way. You are skeptical of this new thing that you thought you knew all along. But seeing and experiencing it with brand new eyes makes you love it more. A publication for designers in New York and followers all around the world.